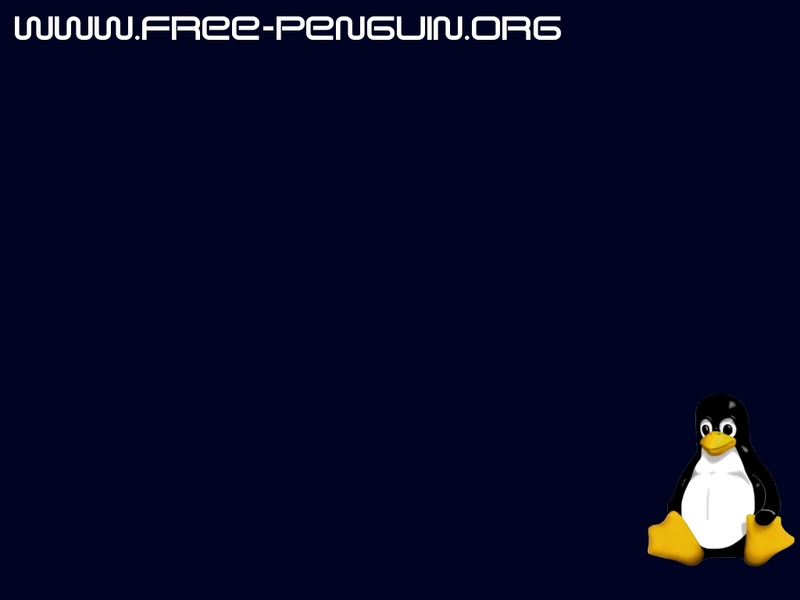 Welcome to the free-penguin project page. 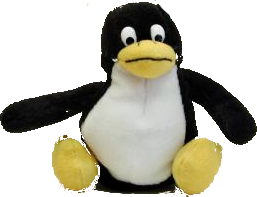 This project provides 'executables' that enable you to make your own soft-toy Linux® penguin. 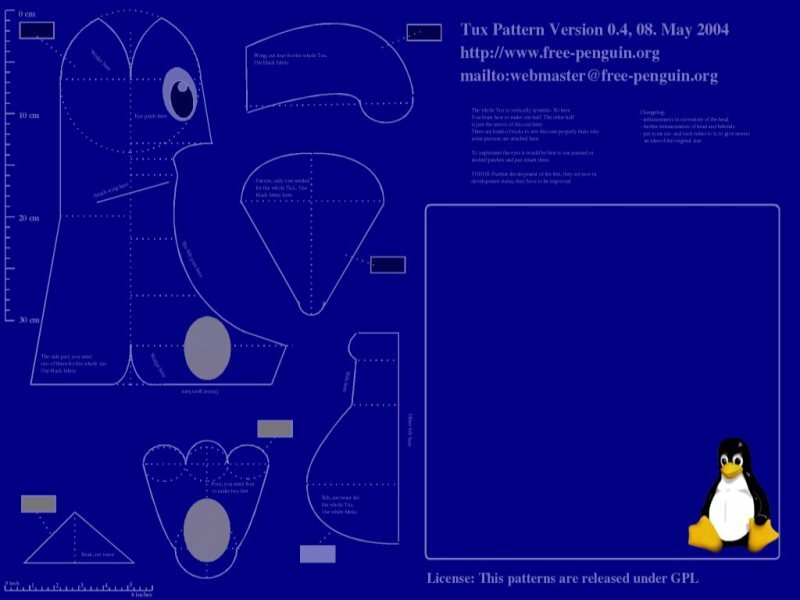 To put it straight: You can find sewing patterns and a community to sew your own soft toy or stuffed Linux® Tux penguin here. 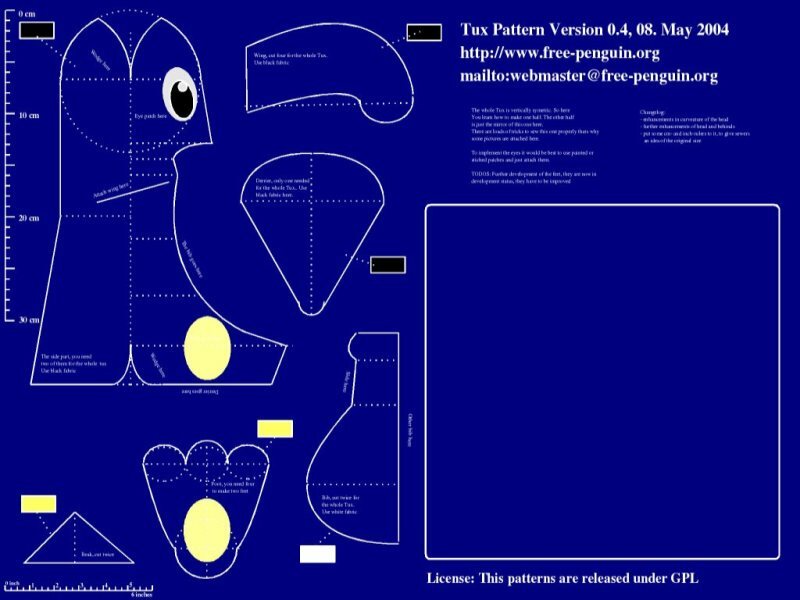 To help Google finding this, once again: You can find sewing patterns and community to sew your own soft toy or stuffed Linux® Tux penguin here. All downloads come under GPL (GNU General Public License). The starting point of this project was the question: "Why is it that on the one hand in the Linux® world all code of software is freely available and on the other hand the code to compile a soft toy penguin is still not open source?" This project will try to publish code that will enable people to sew soft toy penguins themselves provided they meet certain hardware requirements. In this section you find released project files. Both for sewing patterns and badge prints. Remarks and comments on them are always welcome. Commercial limitations: Please see the Disclaimer to avoid problems with country specific copyright law. Those who are not convinced that the patterns work should see our -->FreePenguinBlog<-- for a vast amount of success stories. Check the Tux sewing pattern development branch! For the Tux sewing pattern development branch all paper formats would be ISO A1. Feel free to check whether the patterns are easily scalable. File formats for development files are now svg, sxd OpenOfficeDraw as well as pdf and swf for distribution. For the ancient sewing pattern tar balls: They contain the actual patterns in .eps-, .pdf-, .fig-format. For version 0.3 the patterns are devided in two packages. One containing the patterns in original size, named *-orig. * and one containig the patterns scaled down two ISO a4 paper format, named *-a4.*. This is done to shorten downloadtimes. Since .fig and .eps are vector formats one might scale both releases anyway. After a few requests this all new feature has been added. With the following files we offer a 'make Your own Tux-badge' algorithm. Hardware requirements become tougher here, while your personal skills do not have to be that developed. NEW! Check the Tux badge/button printing development branch! 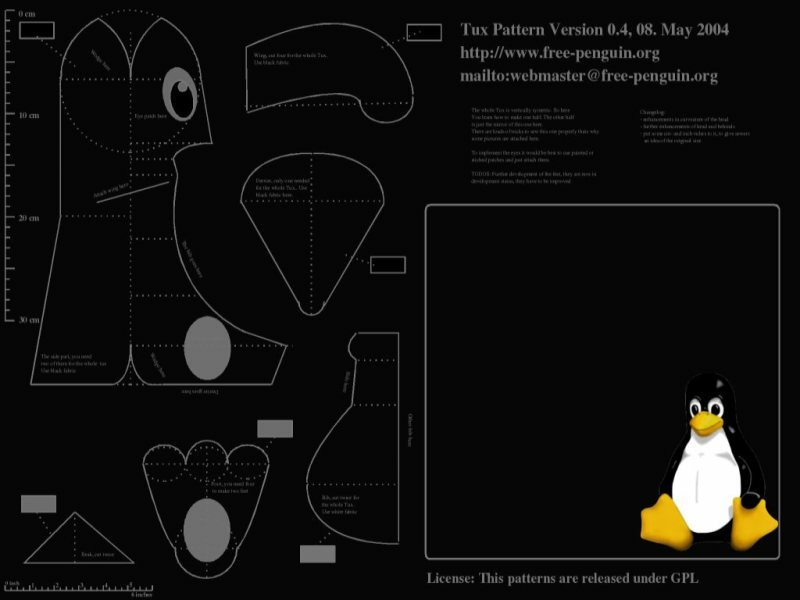 There are Tux embroidery files for download. Just follow the links: Pinguin23.pes, Pinguin23R.pes. The files are made for Brother embroidery machines. There are possibilities to convert these formats to formats for different machines. Just google for conversion scripts. Special thanks go out to Gisela. Status:Alpha. first research efforts have shown that at least a needle, a long thread, black and white plushy fabric as well as yellow textile are necessary. Other assets that might be needful are thimbles, more thread and scissors. Warning: Before you start, make sure that you know what you are doing. Doing things on a trial-and-error basis in the fields we are dealing with here can do a lot of harm. You'd like to link this page or you'd like to show 'awareness' in general? Go ahead, show a free-penguin.org button on your pages! Just integrate the following code to your side and choose the filename of the button you like the most.The old school downloading way could be used as well, of course. You might want to put the money where the mouth is and actually make a soft toy penguin from the patterns provided. You might want to implement Tux'es in different fabrics. In clay maybe... or even in R2 rather than R3 as a picture. It becomes more and more important to improve the actual documentation files. There should be a detailed 'HowTo' to enable sewers to actually sew the soft toy or stuffed Tux penguing. Now, what's left? Some Mug-T-Shirt-Cap-Ballpen merchandising kind of thing. Ok, let's start with a few wallpapers for your screen. See the links below. 2001-2002: research, building knowledge base, etc. acquired sitting ducks from the McDonald's Happy Meal. We will do our first reverse-engineering steps with it. first alpha release of a penguin pattern. see the downloads section for it. We found a actual softtoy penguin and could publish refined alpha release of a penguin pattern. see the downloads section for it. Tux might be a Wordmark as well. There is no secure information about persons or organisations claiming it. The patterns itself are influenced by several implementations of the soft toy tux. 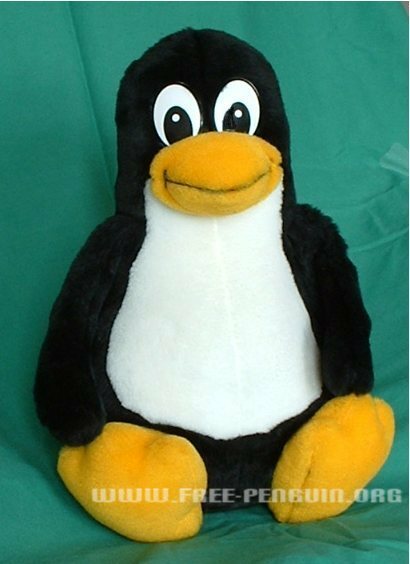 The soft toy Tux we took as graphic example is a Steiner Tux. Commercial Limits: In some countries soft toy tuxes are protected by patent law. You may not be allowed to import them or make them commercially. If You intend to use the patterns provided here for commercial purposes, make sure you operate on sound legal foundings. We are not responsible for copyright infringements that occure from actually making soft toy Tuxes, since we cannot deal with all possible realizations of copyright law all over the world. Please figure that out yourself. About this Service: This website is not providing any service, not via the web nor anyhow differently. This is not a commercial web service. People behind it do not require payments from anybody visiting or benefiting from this site. People are invited to learn from this site and maybe contribute to the project. The authors are not obliged to publish contributions nor are they obliged to pay for any tangible or not tangible contribution. About Linking: The authors of this page are not responsible for the content of pages that are linked here. 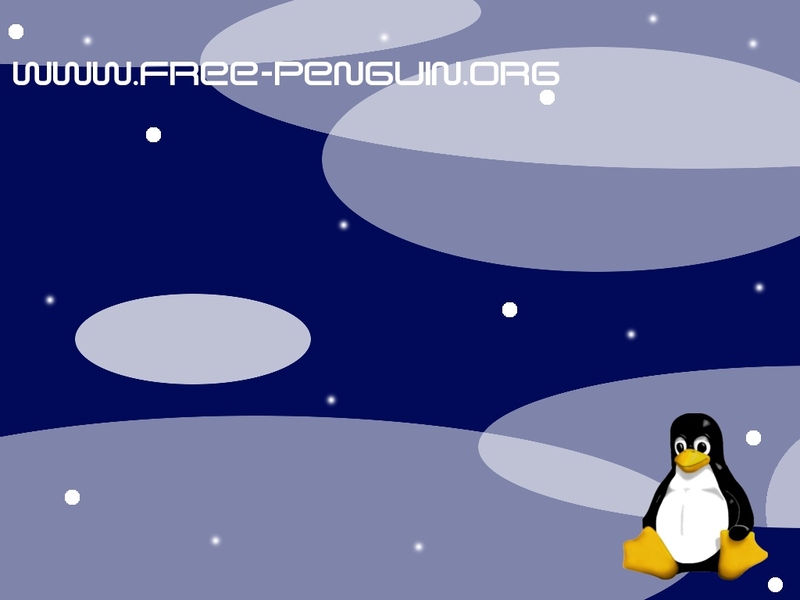 To contact us write to webmaster@free-penguin.org.